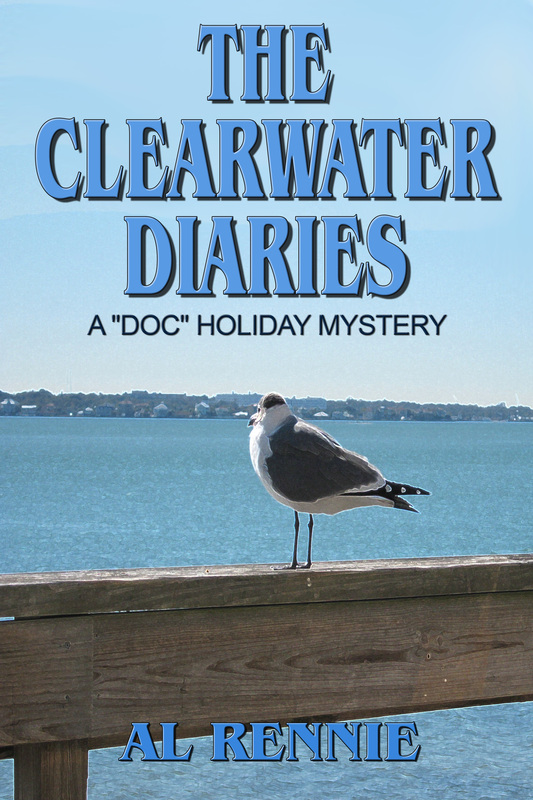 Clearwater Diaries is the continuing story of Joe “Doc” Holiday and Mia and the life they enjoy together in Clearwater Beach, Florida. Many of the characters found in “Journals” carry on in this story. Joe owes Fred Cooper – the cop who extricated him from some serious criminal charges – a big favor. When Coop’s criminal brother-in-law goes missing, he calls on Doc to help him find the guy. Doc isn’t convinced that the brother-in-law is worth the effort but agrees to lend a hand. When Danny, the grandson of Doc’s friend is found shot in the parking garage of the Mandalay Towers – units starting at a million dollars – and there is a connection to Coop’s missing brother-in-law – Doc goes all in.